Welcome to the 2019 school year at Mater Christi College. With all students finally in attendance, there is a distinct buzz along corridors and in rooms. 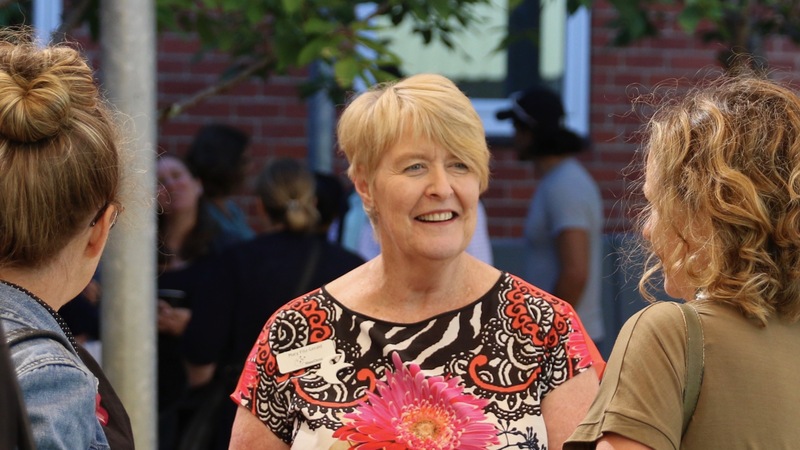 The excitement is palpable as our Mater Christi College community embraces new and returning members. For our Year 7 students and those joining us in other Year levels, there is both excitement and nervous energy as new expectations and adventures in learning unfold. Of greater importance at this time however, is the imperative to experience welcome and hospitality. The power of a kind word and a smile cannot be underestimated, and I encourage parents, teachers and students alike to begin as we mean to go on, to look out for the other. Our College theme for 2019 says it all: Build community – welcome all as Christ. As a Catholic Good Samaritan school community, we take seriously the message from Jesus to care for and listen to each other, to make the stranger welcome… in such a way we are following his example and his teaching. It is from the welcoming words and actions of this new school year that we ‘build’ the foundations for our new Mater Christi community of 2019. Our College theme becomes a living action, which we will continue throughout our year of learning together. Of course, I expect that in no time at all, any sense of being a stranger will be gone for newcomers, especially as students and teachers in classes and Pastoral Groups settle in and get to know each other. Let’s begin our year as positively as possible. Smile, introduce ourselves and ask for help and support always, of everyone, anytime as needed. All the best for 2019, as together we learn to ‘Build community – welcome all as Christ’.